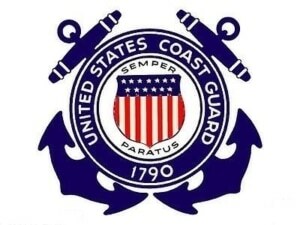 The U.S. Coast Guard, established in 1790, currently has approximately 42,000 members, also known as “Coasties.” The same as with other branches of the military, it is common for members of the Coast Guard to receive Permanent Change of Station (PCS) orders. Check out the PCS Military Move Planning Guide and information below regarding specifics of U.S. Coast Guard PCS moves. There are certain benefits you are entitled to for a Coast Guard PCS move, whether a CONUS or an OCONUS transfer. Learn about the entitlements available to you by talking to the Personal Property Shipping Office (PPSO) or Transition and Relocation Manager (TRM) at your current station. Some details on entitlements follow. • Expenses associated with moving a Coast Guard member’s household during a PCS are partially covered with a Dislocation Allowance (DLA). • When base accommodations aren’t available, a Basic Allowance for Housing (BAH) provides funds for housing costs. Dependency status, pay grade, and location determine the amount given for a BAH. • Temporary lodging and food expenses incurred by a Coast Guard member and his or her dependents can be partially covered with a Temporary Lodging Expense (TLE) entitlement. • During a Coast Guard PCS move, Monetary Allowance in lieu of Transportation (MALT) is authorized for two POC/POVs, if used. (A POC/POV is a privately owned conveyance or vehicle.) The MALT rate, as of January 1, 2017, is $0.17/mile. • When on-base housing is not available at an overseas assignment, military members are eligible to receive the Overseas Housing Allowance (OHA), which is reimbursement for housing expenses paid from month to month. • Similar to a TLE for CONUS moves, mentioned above, a Temporary Lodging Allowance (TLA) is valid for as long as 60 days during OCONUS moves. • During an overseas Coast Guard move, if costs incurred are associated with home security, rental fees, and necessities that are not always provided, a Move-In Housing Allowance (MIHA) is available. • For higher overseas costs of non-housing services and goods, members of the Coast Guard receive an Overseas Cost of Living Allowance (OCOLA). Once you’ve received finalized PCS orders, fill out a form to request housing by contacting your TRM or PPSO. Go to the online Coast Guard Housing Program for assistance finding reliable housing near your duty station. At some locations, lodging may include Coast Guard-owned housing. Other sources for housing may include leased housing, community housing, and Department of Defense housing. Leave is usually granted by the Coast Guard for a 10-day period of house-hunting, but related costs are not covered by the military. For a CONUS personally procured move (PPM) or Coast Guard do-it-yourself (DITY) move, Simple Moving Labor (SML) can help. One of the top ways to ensure a successful Coast Guard DITY move is to work with a reliable moving company. SML is a leader in providing quality moves. Go online for a moving quote or call Simple Moving Labor today at (888) 522-6710 for help with your Coast Guard PPM.